Edvard Grieg is to Norway what Shakespeare is to England: his country's most celebrated son. Find out more about the composer of Peer Gynt and a legendary Piano Concerto. Born on 15 June 1843, Edvard Grieg is Norway’s most famous musical son, although the Scots could lay claim to him being one of their own. His Scottish great-grandfather emigrated to Scandinavia after the Battle of Culloden. 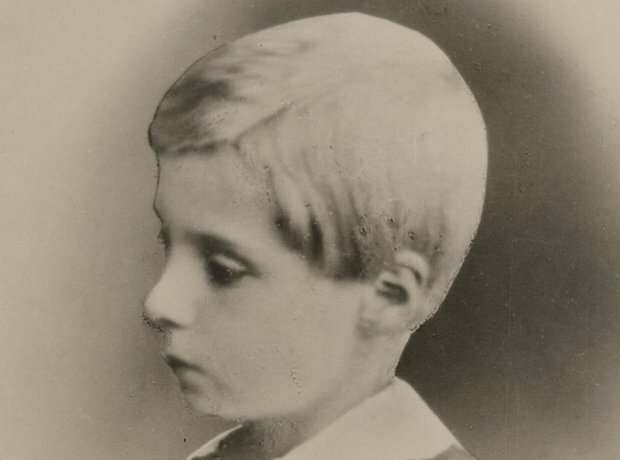 The young Edvard Grieg was desperately unhappy at school, regularly suffering torment and abuse from his fellow students. But from an early age he was a highly proficient pianist, taught by his mother. A fortuitous encounter with a family friend, the violin virtuoso Ole Bull, resulted in the 15-year-old Grieg's immediate transfer to the Leipzig Conservatory. Yet in his own words, he left the Conservatory ‘as stupid as when I entered it’. Moving to Copenhagen in 1863, Grieg met the young composer Rikard Nordraak, whose passionate interest in the sagas, landscape, and music of his homeland inspired Grieg to take up the musical cudgels on behalf of Norway. Grieg didn’t particularly enjoy his time away from Norway, but he did gain the opportunity to hear performances from the likes of Clara Schumann and Richard Wagner. Grieg once explained: ‘The traditional way of life of the Norwegian people, together with Norway's legends, Norway’s history, Norway’s natural scenery, stamped itself on my creative imagination from my earliest years.’ This picture shows Grieg's home at Troldhaugen. When he returned home, Grieg concentrated his efforts on learning more about traditional Norwegian music. Gradually, these melodies became an important part of his own compositions, with many of his works containing soaring tunes that evoke his Norwegian home. Following Grieg’s 1867 marriage to his cousin Nina Hagerup and the birth of their baby daughter, Alexandra, he composed his first and most enduring masterpiece, the A minor Piano Concerto, in a flurry of inspiration. Grieg was determined to make his mark on the world with his first full orchestral piece. The Piano Concerto was an instant success and many expected Grieg to follow it up with a second – but he never chose to write another. In 1874–76, Grieg composed incidental music for the premiere of Henrik Ibsen's play Peer Gynt, at the request of the author - pictured. The opening movement, Morning, and In the Hall of the Mountain King have become staples of the concert repertoire and have featured in many TV advertisements. In 1885 the family took up residence in Troldhaugen near Bergen, where Grieg was to stay for the next 20 years. His piano piece Wedding Day at Troldhaugen, taken from the Lyric Pieces, was written to commemorate his and Nina's own silver wedding anniversary. In the summer of 1906 Grieg penned his final composition - the Four Psalms - and then, seriously weakened, left for the comparative warmth of a hotel in Christiana. He was on the verge of undertaking a journey to Britain in the autumn of 1907 when he suffered a massive heart attack, dying in hospital shortly after arrival. After he died, Grieg’s music quickly came to be regarded as old-fashioned. But his influence was particularly apparent on the French composers of the early 20th century. Ravel said that, other than Debussy, there was ‘no composer to whom I feel a closer affinity’.